Using an Ethernet cable is one of the three (3) ways of connecting your Sony® Blu-ray Disc™ player to your Linksys router. This option is the easiest way in connecting your devices especially if they are close to your Linksys router. Follow the steps below to know how to set up a wired connection with your Sony® Blu-ray Disc™ player and Linksys router. NOTE: Make sure that your router’s Internet connection is working fine before proceeding with the setup. Using an Ethernet cable, connect the Blu-ray Disc™ player to one of the available Ethernet ports at the back of your Linksys router. 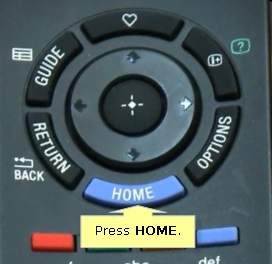 IMPORTANT: Make sure that your TV is set to the proper input that the Blu-ray Disc™ player is connected to. For example, if you’ve connected the player and the TV via HDMI, select the HDMI input on your TV. Go to your Blu-ray Disc™ player and press HOME on the remote. Select Setup > Network Settings. Select Internet Settings > Wired Setup. When an Internet Settings is now complete prompt appears, select OK. Select Manual if asked how you want to set up the IP address and proxy server settings. Set the Blu-ray Disc™ player’s Default Gateway, Subnet Mask, and DNS server same as the router’s. QUICK TIP: To learn how to check your computer’s IP settings, click here. Set the IP Address to any value as long as it’s within the same range as the router’s. For example, if the IP address is 192.168.1.100, you can make the Blu-ray Disc™ player’s 192.168.1.120 and so on. The Blu-ray Disc™ player will then verify the connection. If the connection is successful, you will be shown an Internet is connected successfully prompt. Select OK.
You should have successfully connected the Sony Blu-ray Disc™ player to your Linksys router now.